Incredible Low Carb Onion Rings that are GUILT free! Flavorful and tender, better than any fast food onion rings and they are good for you! Have you tried cooking or baking with Coconut Flour? I love it! I have been experimenting with lots of recipes and this is my first one that was a success. I was a bit skeptical but when I read that it was low carb, I had to try it. For those with dietary restrictions, you are in luck here! Hubs looks forward to Vidalia Onion season. He bought a 15-pound bag! He keeps me on my cooking toes…remember the 70-pound bag of potatoes??? So, I had to come up with some yummy onion recipes. These onion rings are lightly battered and quickly fried. Hubs said they are the BEST onion rings that he has ever eaten. Wow…I don’t get compliments like that…ever!! I was too busy sauteing to get any pictures, but give it a try and send me a picture on Instagram if you make them! 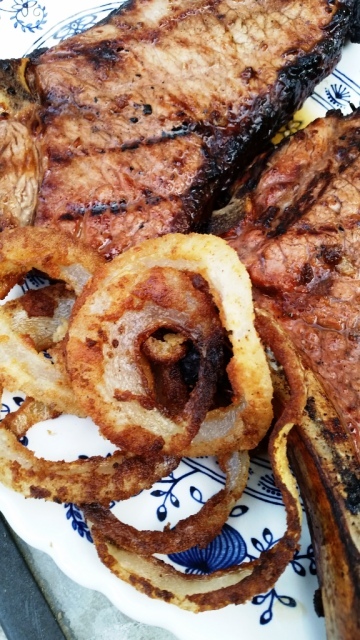 These low carb onion rings are perfect for a Cookout! 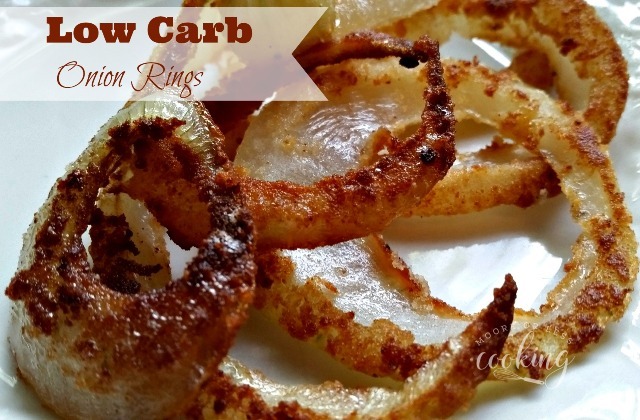 Heavenly Low Carb Onion Rings that are GUILT free! 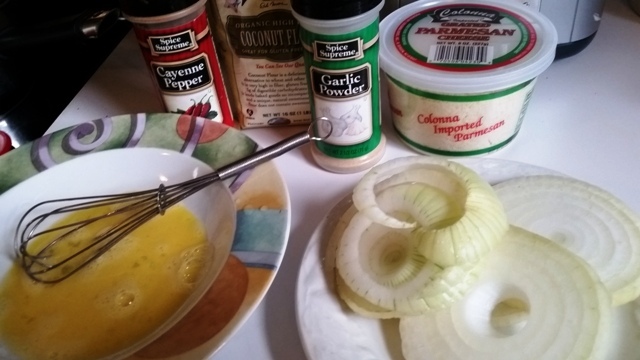 Flavorful and tender, better than any fast food onion rings and good for you! Beat egg in a shallow bowl. Combine the coconut flour, parmesan, garlic powder, cayenne and salt in a shallow bowl. 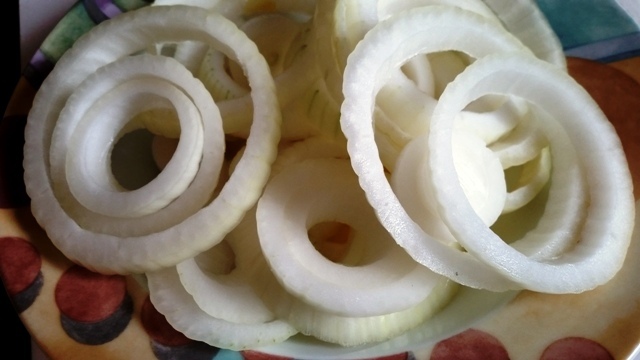 Slice up onion to a thickness of ½ an inch and break up the rings making a big pile. Add the onion rings to the beaten egg and mix thoroughly until well coated. Soak onions in the egg for a minute, and then in small batches dip in the coating and then into the hot oil. Fry until golden brown and then turn with tongs to brown the other side. Remove to a plate lined with paper towels to soak up oil. This year, we’ve got something special to celebrate! 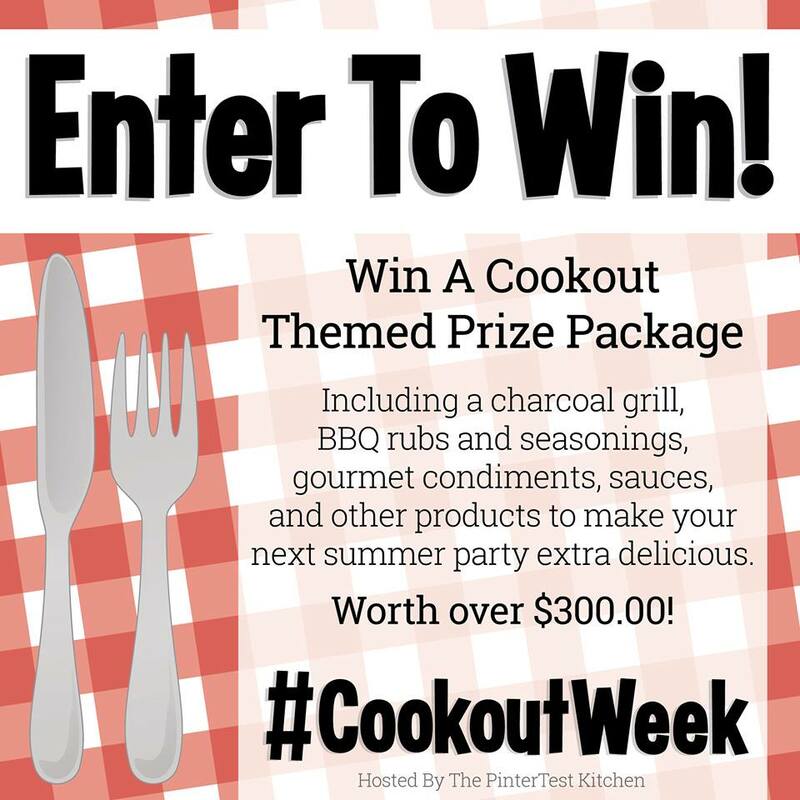 We joined forces with around 50 of our blogging friends to bring you #CookoutWeek!